Mrs Baldwin – Mrs Baldwin's Class Blog! Mrs Skye Baldwin is in her twelfth year of teaching. She began teaching in a range of Department and Private schools and teaching classes anywhere from Reception to Year 7. The last seven years she has mainly taught in middle primary (years 3 – 5). 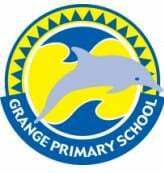 Mrs Baldwin has been teaching at Grange Primary for three years. 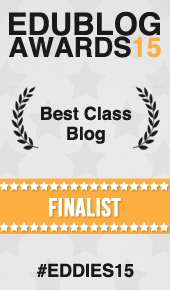 This is Mrs Baldwin’s third year of blogging with a class. She enjoys learning with her students and parents and exploring the benefits of blogging with using technology to enhance the students learning, and providing another way to communicate with the local community. I was born in Mount Gambier, South Australia and moved to Adelaide when I was 18 to study at University to become a Primary School teacher. I graduated at the end of 2004 and decided to stay in Adelaide to begin my teaching career. I have a German Shepherd Dog called Ted. He is very energetic and enjoys long walks along the beach. I enjoy watching AFL football and my favourite team is the Essendon Bombers. I try to go to as many matches as I can in a season. My favourite food is chocolate! One day I would love to go to Disneyland in Florida! In my holidays I was moving house. My fav bit about my holidays was going shopping. It is always a big job moving house. I am sure you are enjoying your new house! Shopping is always fun to do in the holidays as well. I have moved in today. And shopping isn’t always fun. Mount Gamier has a lot of volcanoes and they are very interesting to visit and climb. It sounds like you had a great time! at the last rook I got stuck but dad got me out. I ment rock .do you miss mount Gamier ? I love it ther and now I miss it I whish I was still ther. My dad and I went to the bottom of the volcano. How hot was it at the volcano and how long of a walk? It is very cold.when I was ther it was cold and not much of a walk. I have been on Mr Rothwell’s class blog and it is so awesome! I really think that the 100 word challenge is not a good idea but a great idea it gets children’s brains thinking and it is good for mums , dads , teachers and friends. so it is a good idea they this school dose that kind of stuff like the mack a book makes your brain think it is also brain exercise and cool stuff like that that can get you and your fellow class mates much smarter for when you grow up swell. How does your Dad feel about you supporting the Bombers ? 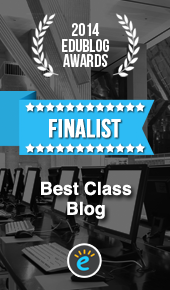 Congratulations and Good luck with the Edublog awards. Yes he is not too impressed, I used to follow the crows when I was in early primary school but soon gave up! Ha Ha, Thanks for your support! Next year will the blog still be up? The blog will not stop next year. It will continue to be used with the next year 4 group I teach. You and anybody else are still welcome to comment and view the posts anytime! I hope you are having a wonderful holiday! i hope you will go on your holiday. i have a dog called tiger.